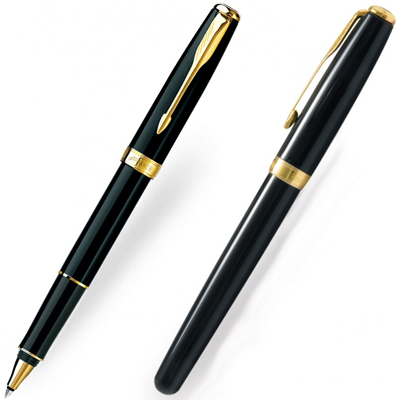 The Parker Sonnet Black 23 carat Gold Trim Rollerball Pen. 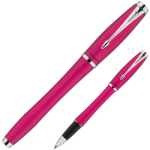 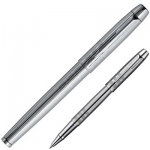 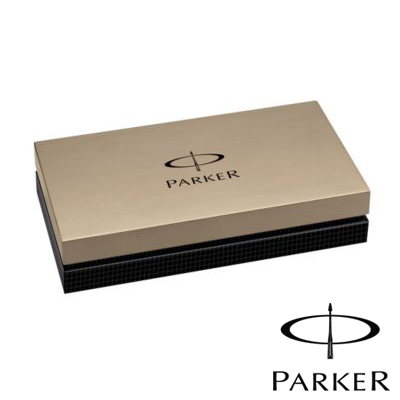 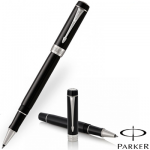 The Parker Sonnet Rollerball Pen range stands out for it’s slender look and style. 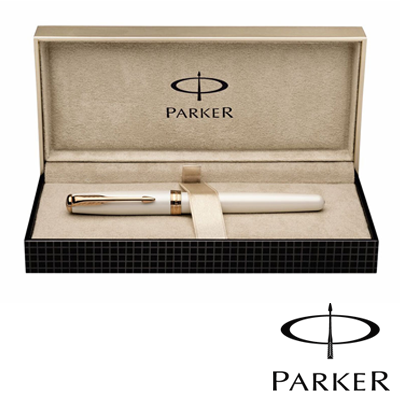 Each Pen comes in a lovely gift box. 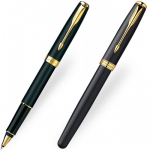 The Parker Sonnet Rollerball Pen has been designed with a stylish and elegant finish, Black and a 23 carat Gold trim.